Microsoft recently released a preview of the Xbox One Anniversary Update that brings more Windows 10 to the Xbox. But if the latest rumors are correct, Microsoft wants to do a whole lot more by bringing the Xbox console experience to Windows 10 PCs. It’s no secret that Microsoft’s vision for the future of gaming involves combining the Xbox and Windows PCs, and a new report says this could be a very literal marriage. 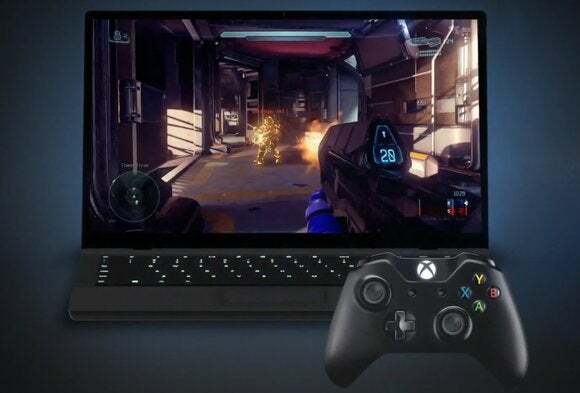 Microsoft has “ambitions to make Xbox One games playable on the PC” minus an Xbox in the living room streaming to the PC, according to The Verge’s Tom Warren. Currently, Xbox games can be streamed to a Windows 10 PC when both devices are on the same home network. The purported cross-platform future is part of Microsoft’s “Project Helix,” according to Warren. Kotaku first reported on Project Helix in late May saying it was a project to bring future Microsoft games to both Xbox One and PC. However, that prior report still saw the two platforms as being separate. Presumably, if Xbox One console games do come to PC it will only affect future games and not the entire library. It’s not clear how this merged future would work out, but Warren reports it could mean bringing the entire Xbox One UI to Windows 10 PCs. As the Xbox system is already based on Windows 10, that would mean tailoring the UI’s interactions for a PC. It’s not clear, however, if the Xbox One UI would exist as an “app” inside Windows 10 much the way Windows Media Center did for entertainment PCs. 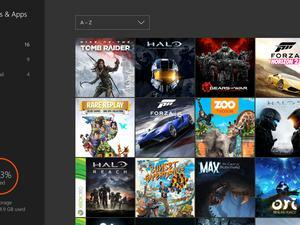 If the Xbox UI does live inside regular desktop Windows the current Xbox app would be the obvious candidate. Xbox for Windows 10 currently functions as a companion gaming app/social network for connecting with your Xbox Live friends. The other alternative would be a special “Xbox edition” of Windows 10 for PCs, which makes a certain amount of sense. A Windows 10 PC capable of playing Xbox games would still need to be a machine dedicated to the purpose—the PC wouldn’t be able to run these games without a healthy discrete graphics card, powerful CPU, and good amount of RAM. 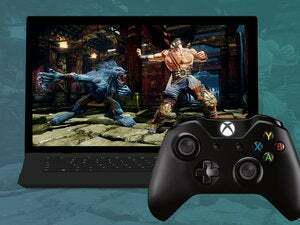 So why not create a gamer-dedicated version of Windows 10 to complement the hardware? It’s possible that Microsoft doesn’t even know which route it will take—assuming the rumors are true. Why this matters: Microsoft’s burgeoning Windows 10 era is all about multi-device compatibility. Making it possible to play Xbox games on a PC or console would take this notion to the extreme. It suggests a future where the Windows Store can be a one-stop shop for Xbox One console and Windows 10 PCs. That’s a future that’s already happening in some ways. Even though the game stores are currently separate, many Xbox One “exclusive” games from Microsoft Studios are coming to Windows 10 PCs via the Windows Store, as Microsoft announced in March. Before the PC-as-Xbox becomes a reality, however, there are numerous problems to consider. The most obvious one being that PC and console gamers have entirely different cultures. PC gamers may not take kindly to playing games designed for the console on their PC. That’s especially true if these Xbox One games have frame rates capped below (or even at) 60 frames per second. 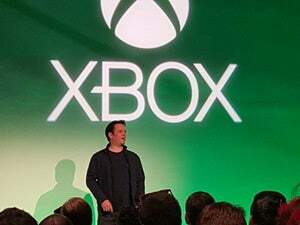 Nevertheless, it’s an interesting proposition, and Warren says we may learn more about Microsoft’s Xbox One/Windows 10 PC integration plans during E3. The annual video game expo runs from June 14 to 16. This post was updated with more background information on Tuesday, June 7 at 8:35 A.M. Pacific.